Scheduling of auditor for audit assignment for QMS,EMS,OSH,FOOD SCHEMES,PEFC. Functions as Operation Manager of all certification programs and scheme including managing training schemes. Overall responsible for the granting, maintenance, renewal, extension, reduction suspension, withdrawal and conversion/transfer of certification as provided under the company documented procedure. Work along with General Manager on the overall responsibility on the supervision of certification system documented policies and procedures. Preparation of the weekly, monthly, quarterly report on the revenue and GP, performance deck to General Manager. you will be reporting directly to General Manager. There will be 5 Scheme Manager and 36 auditor reporting under you. The team works in fast paced manner. Attend 5 days IRCA auditor/Lead Auditor examination course. Posses diploma/degree in any relevant field. To apply online, please click on the appropriate link. 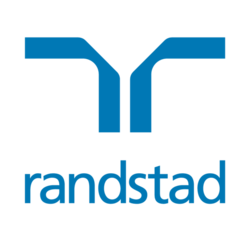 Alternatively, please send your resume to kavilnd.a@randstad.com.my (with subject title: Operation Manager - Certification) or call Kavil at 03-2036 6606 if you are interested with the job.